Andrei Ionita plays Bach's Cello Suite No 1 and Catriona Morison sings Schumann's haunting Poems of Queen Mary Stuart. New Generation Artists: Andrei Ionita and Catriona Morison. 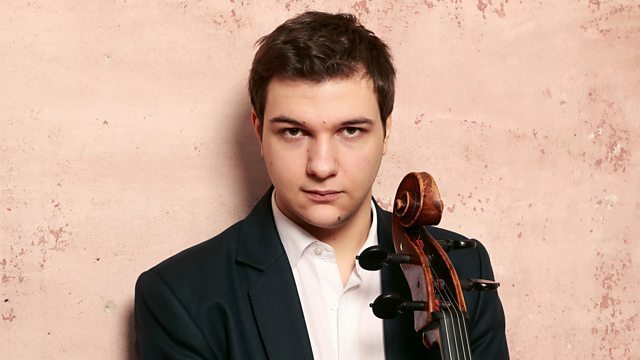 Romanian cellist Andrei Ionita - hailed as 'probably the leading cellist of his generation'- is heard in a suite by Bach from his long-awaited debut release. Also today, Scottish mezzo soprano, Catriona Morison sings Schumann's melancholic Poems of Mary Stuart in a performance she gave at last year's Edinburgh International Festival. Performer: Simon Lepper. Singer: Catriona Morison.